These last few years the GTAM concept has declined further. Although the Moroccan Tourism Ministry’s GTAM palm-tree/mountain logo still appears outside approved guest-houses from the Saghro to Imilchil, it smacks somewhat of irrelevance. 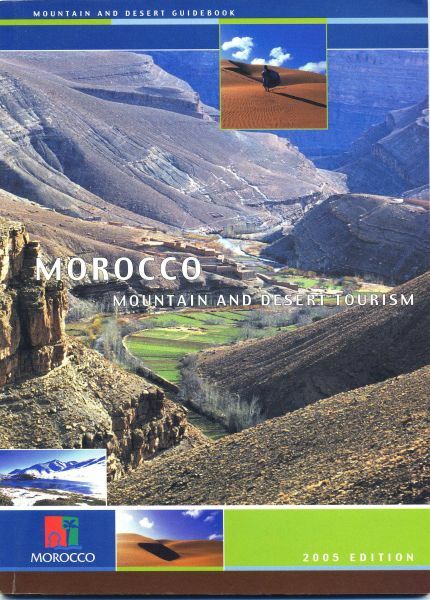 The yearly information brochure no longer refers to « la Grande Traverée des Atlas Marocains » (GTAM); instead, it is entitled « Morocco Mountain and Desert Tourism ». All notions of a grand Atlas traverse seem to have gone out of the window. 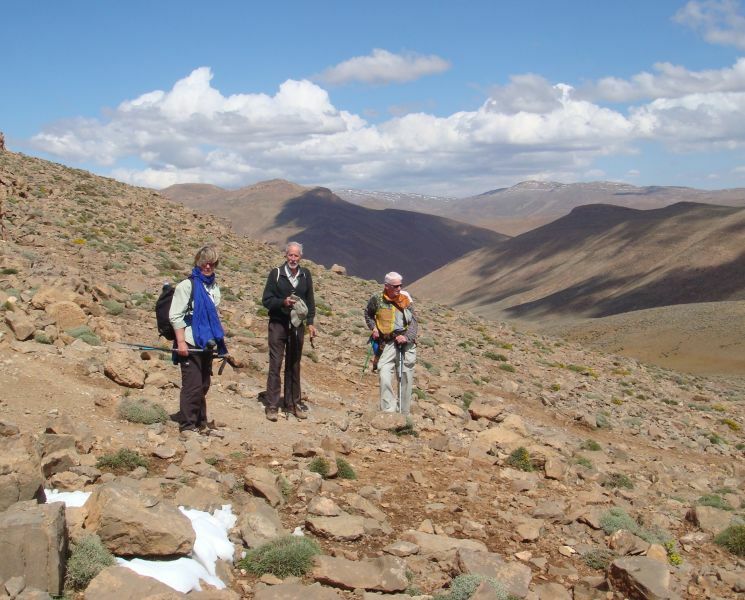 Notwithstanding this perceived end-to-end apathy, the present writer, remaining faithful to a linear logic, has continued whenever possible to organise private excursions with friends along the backbone of the Atlas Mountains, chiefly in the eastern section of the range. 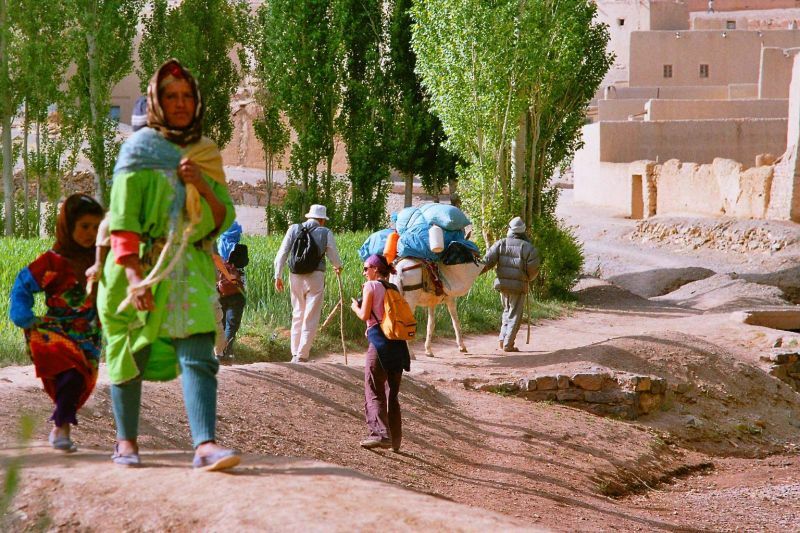 2005 witnessed a re-run of the by-now classic Imilchil-Zaouit Ahansal “haute route”, and another joint Franco-Moroccan effort. The Lhatoutes came along with their niece Lamiae, while Yves Biville and his daughter Marion joined us from Annecy, France. After a rendez-vous at the famous Ouzarouj restaurant in Rich on May 23, our party wedged itself tightly inside the ramshackle van usually provided for the afternoon service to Imilchil. Despite a puncture and the driver’s persistent propensity to look most of the time anywhere but ahead, especially when negotiating tight turns, we finally made it to Moha ou Zayd’s inn by 6 pm. Arrangements were made for a mule next morning and the party retired to bed once dinner was over. A certain Hammou Aouan reported punctually for duty with his baggage-mule plus a couple of plastic jerry-cans. It later transpired that one of these had not been rinsed out after having previously been used for petrol! 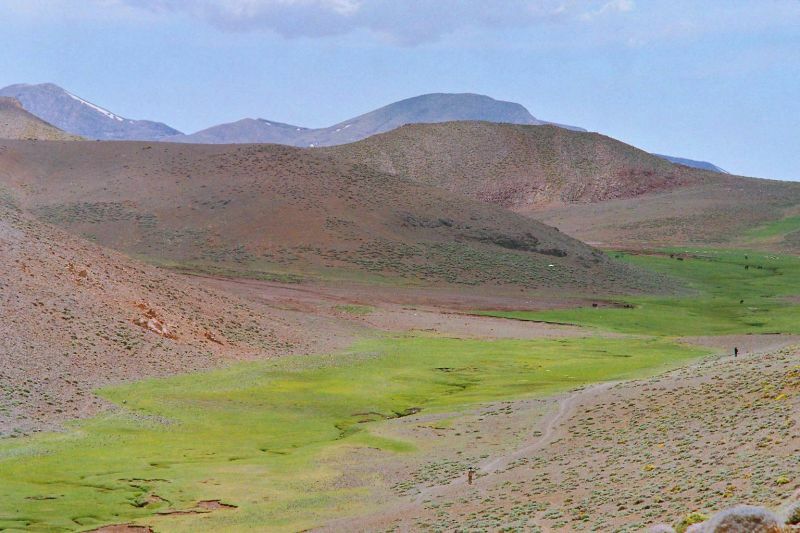 This interesting discovery was made half-way up to Tizi n–Oughroum as certain participants first felt the onset of thirst. Luckily, we reached Almou n-Wensa to find the spring still running freely, though not quite so generously as last year. Local hospitality again proved unbeatable, a pregnant Oult-Hediddou housewife vacating her whole tent and moving in with the neighbours so we could spend a relatively comfortable night, although sharp stones did their worst to keep us awake! True, the fact that Lamiae is a doctor and provided timely medical advice, proved decidedly helpful. Late in the afternoon on May 25, in dry sunny weather, we reached Almou n-Selloult after an event-free stage, Biville handling the catering arrangements en route with consummate skill. The sheikh of the pastures was as hospitable as ever, but when the evening menu was being discussed the author did manage to save a chicken’s life, averting the knife at the last minute, and we had omelette for dinner instead. Khadija, who had slept badly the night before on the stones of Almou n-Wensa, took a sleeping-pill while the meal was being cooked. Almost at once she keeled over and had to be put to bed! May 26 took us without further ado up and over the camel’s hump of Izelfen to Almou Amazzan for another Biville al fresco luncheon. The party were impressed by the greenness of the pastures and the way frisky mules were chasing sheep all over the place. 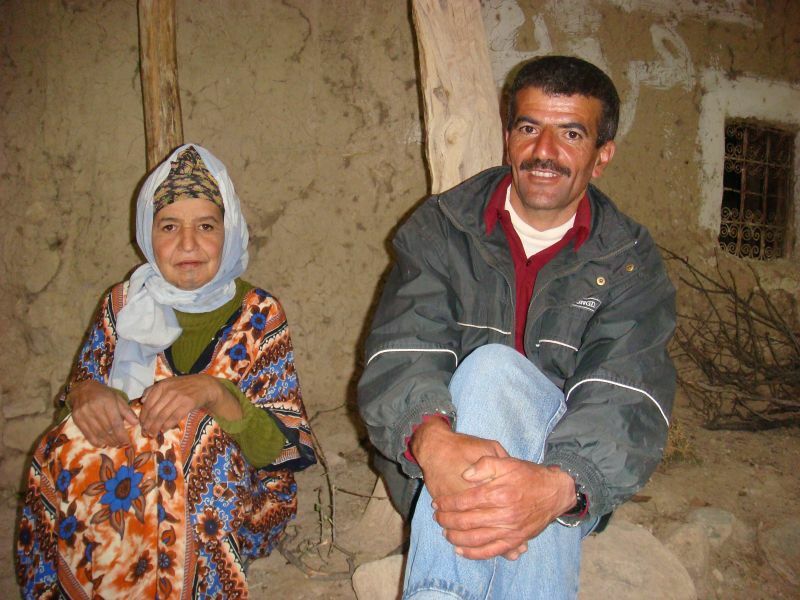 That night in Tafraout we put up at Saïd’s house – although he was personally absent – and presented his son with an electric torch so that his father could in future work efficiently on his irrigation-channels at dead of night. Khadija’s sleeping-pill from the night before was still active and she had to retire early to bed. As expected, May 27 brought us to Zaouit Ahansal where the caïd, warned by the provincial governor (an old friend of Assou’s), gave us tea. There hadn’t been as much melt-water from snow as last year, the Ifferd tarn having evaporated and conditions were generally much drier. Beyond Zaouit we made rapid progress in the governor’s chauffeur-driven car, several sections of the old piste now being properly surfaced. That night, we were in Azilal and on May 28 returned to Ifrane via Beni Mellal by the usual combination of taxi and bus. 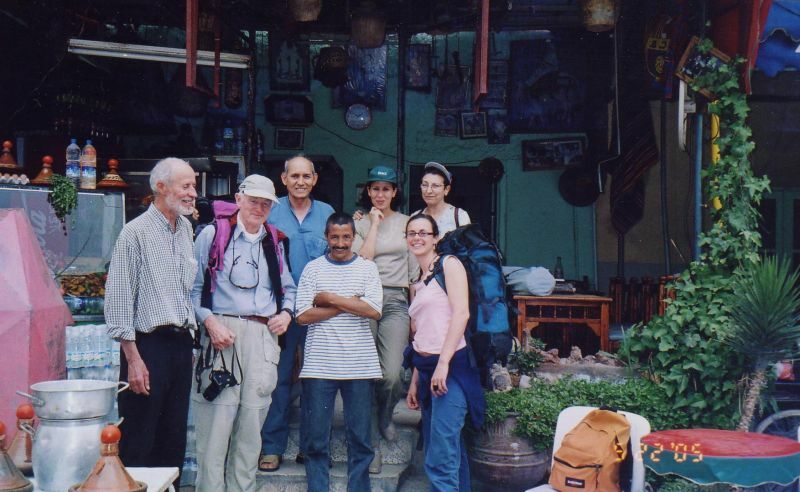 In 2006, as with friend Houssa Yakobi we concentrated on our famous Amazigh « sites of memory » (Tazizaout and Baddou) programme and being still Ifrane-based, we tended to give GTAM itineraries a miss. 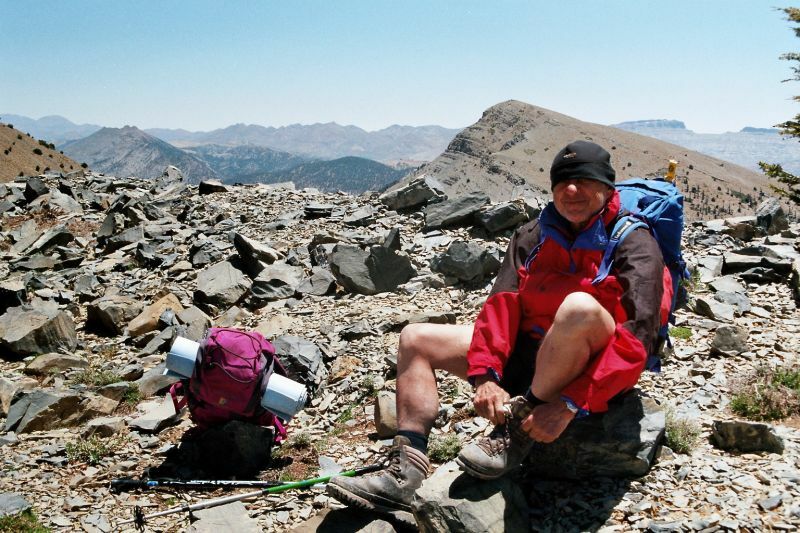 However, in 2007 this writer made a 3-day traverse from Imilchil to Tounfit with his faithful companion Michel Morgenthaler, taking in Aqqa n-Wanin, Taoujjaâout hill and Tazizaout en route. There was little to report, apart from the fact that the Lakes Plateau igudlan were wide open to all-comers, a distinctly negative development that bode little but evil for pasture conservation and environmental harmony in the area. Not to mention that cedars around Tazizaout had taken a serious bashing at the hands of timber-rustlers since last visited in 2005! Continuing via Agheddou, Tizi n-Ighil and the Tatrout gorge, we stayed the night at Asaka with an old friend, Sidi Moh Azayyi, from whom we collected a few more epic poems in Tamazight. An amusing episode at Tounfit clinched the outing when the unauthorized van we had found seats on was intercepted by the local Gendarmerie. The upshot of it was that we got far cheaper seats on a taxi – commandeered by the Gendarmes – which conveyed us direct to Auberge Ja’afar near Midelt! For end-May 2008 Biville returned with his wife Catherine and friend Thérèse Moreau. Only trouble was that the ladies, presuming we should be going for the mule option, had taken too much luggage. A detail that nearly nipped the trip in the bud by making us 100% mule-dependent. Worse still, when we arrived in Imilchil, it had rained and snowed down to 2500 metres. As a result none of the muleteers approached through Moha ou Zayd were any too keen to venture abroad; others quoted un-heard-of hire-prices. After negotiations had proved unfruitful with three successive muleteers, we finally took on a strapping young porter called Bassou, who helped hump our stuff to Oul-Ghazi where we would get a mule. There remains, however, a lingering suspicion in this writer’s mind that Moha ou Zayd had engineered the whole arrangement in Bassou’s favour! Our intention was to descend Asif Melloul by the left-bank path and push on beyond Anargui to Cathedral Mountain. Day 1 took us to Oul-Ghazi where we stopped at Semlali’s house. The next morning, Tuesday, May 20, as Asif Melloul was running high, we had to indulge in some wading and make an extended detour, via Aqqa n Bou Iyessan, before hitting the Timmicha trail up onto the escarpment. 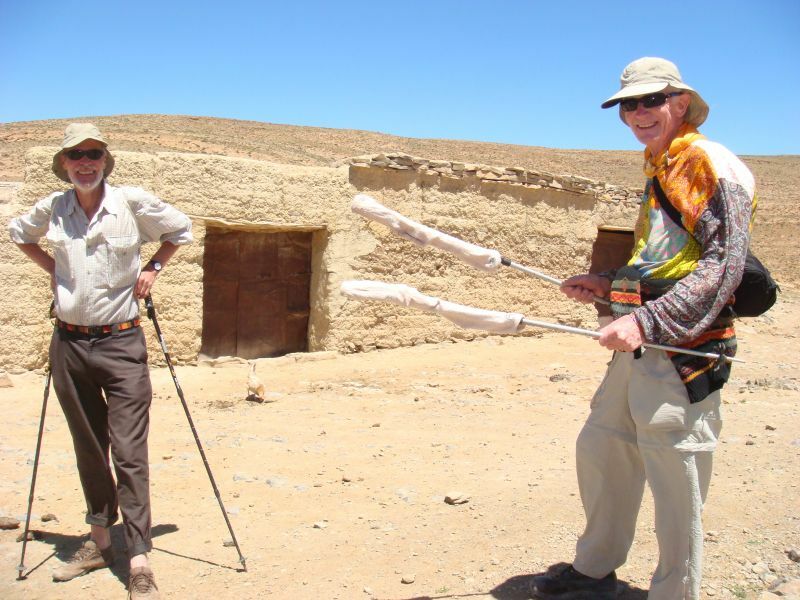 That was the place where we pioneered a new way of drying wet socks by simply pulling them down over the handles of our trekking poles! It was a long tiresome day, being badgered by inopportune shepherds near Taiddert and having to cope with a completely ruined, eroded, ankle-twisting path on the last section down to Batli, where we found relatively comfortable river-side accommodation for the night, not far from a TO camp. Day 3 was shortish, as it brought us over Tizi n-Dari to Anargui and Chrifi’s comfortable lodge. We also took the opportunity to look up Semlali’s sister in her typical Berber house. Thursday, May 22 worked out as a murderous, 13-hour road-bash down Asif Melloul to the Imi n-Warg gîte. 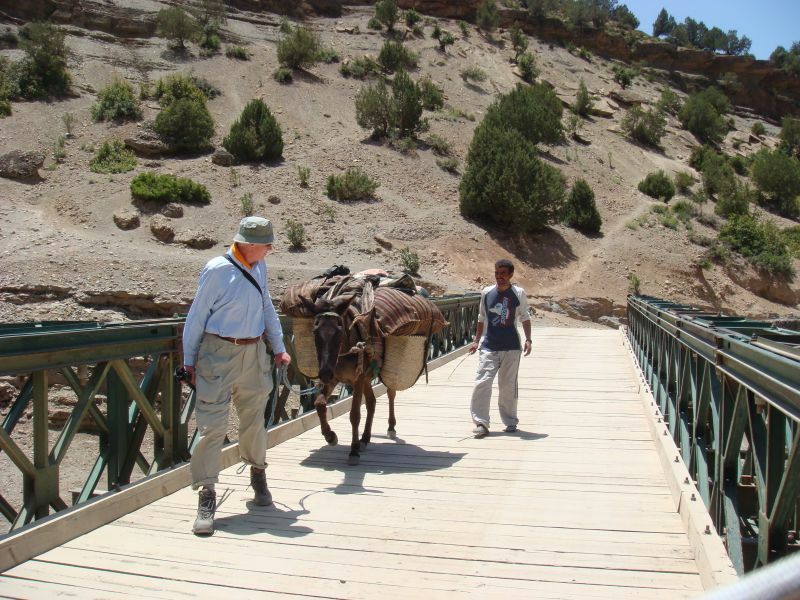 En route, it was obvious that « the times they were a-changing » in the Atlas Mountains. First, we passed a dozen French ladies unwisely hiking in various stages of undress; half a dozen motor-bikes with back-up vehicle carrying bottles of all-important pastis; a couple of unsupported French mountain-bikers, while at the Chrifi lodge there had been a group of Spanish mountain-bikers, also with vehicle support including vino. The fake kasbah that serves as gîte at Imi n-Warg proved an unpleasantly crowded, noisy place with lousy food, unwanted booze and song. No wonder! 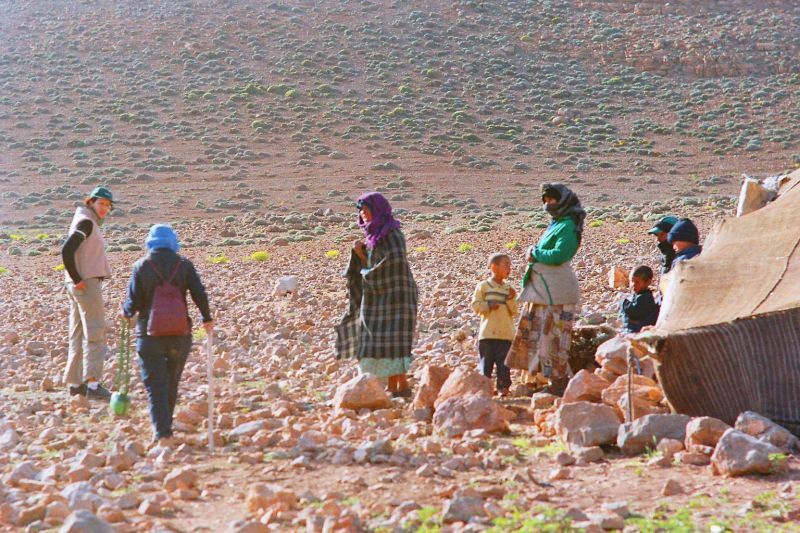 A Tour Operator trekking group, escorted by famous Moroccan guide Hafida, had stopped there, not to mention an assortment of bikers and 4-WD exponents. 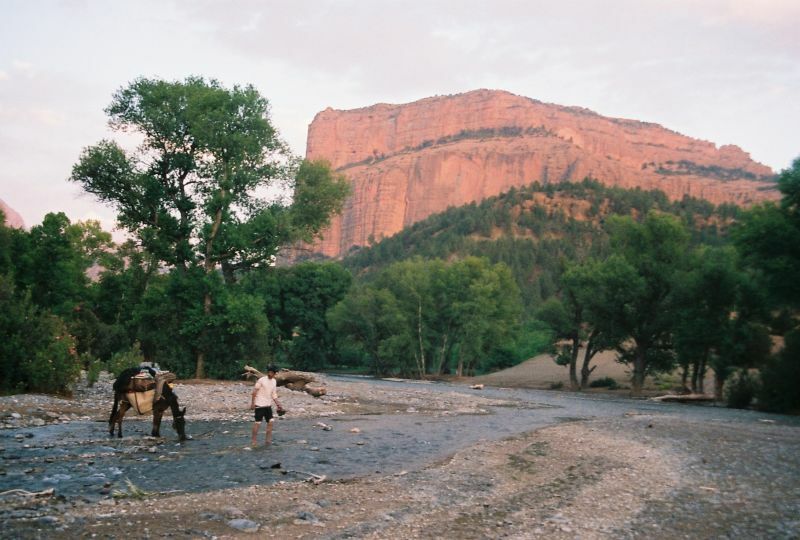 Thanks to the proximity of steep-sided Cathedral Mountain, the place has also become the local Base-jump capital. Day 5 involved a gentle walk to Tillougit; a taxi drive to Wawizaght; another one to Beni Mellal bus station. Here we were victims of a weird little episode: just as we were bundling our stuff into a Petit Taxi the muezzin’s call to prayer resounded and our bearded Islamist driver prompty went on strike to say his prayers. The deal was off! Luckily, another taxi-driver (a Tamazigh-speaker) had witnessed the scene and gamely took us to the Hôtel de Paris for a long overdue shower and welcome beer. Spring 2008 had proved a watershed as far as this writer is concerned. 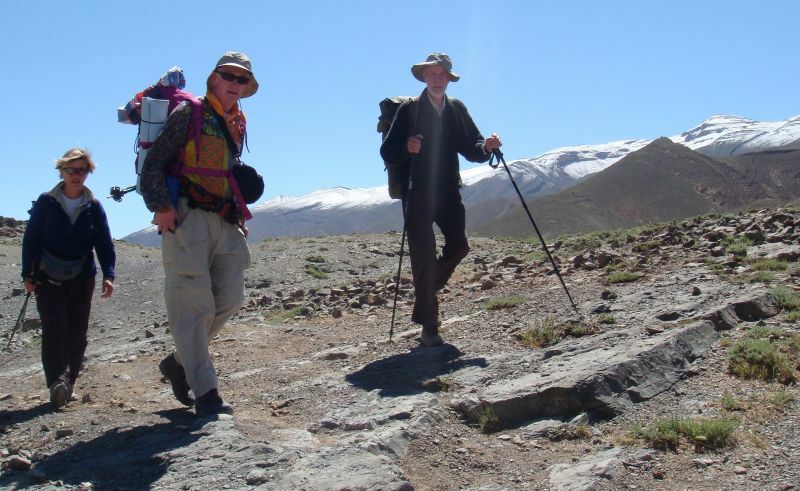 The Asif Melloul outing, plus an expedition up Toubkal two weeks later with the Lhatoutes, really removed any residual doubts he might have had about the negative impact of TO activities on the Atlas Mountains. 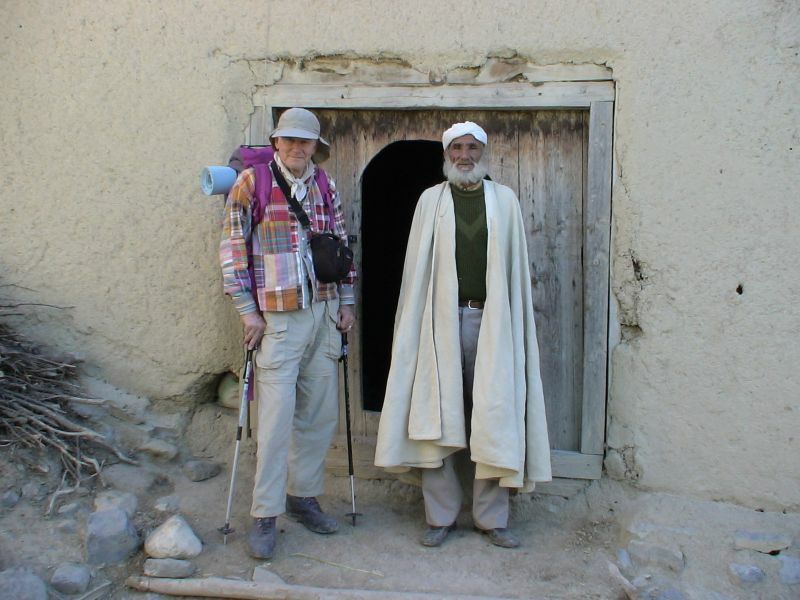 He decided henceforth to devote the unflagging energy of his declining years to creating awareness by hook or by crook as to the catastrophic effects of mass tourism on the Moroccan Berber highlands. It is high time TOs acted in a more responsible manner if environmental fall-out from commercial caravans is to be meaningfully monitored in the future. Unless otherwise specified all texts and illustrations are copyright by Michael Peyron. Material from same may be quoted in compliance with current academic practice. Cet article a été publié le Mercredi 1 septembre 2010 à 9:51 et est catégorisé sous General. Vous pouvez suivre les réponses à cet article par le fil Flux des commentaires. Vous pouvez laisser un commentaire. Les trackbacks sont fermés.